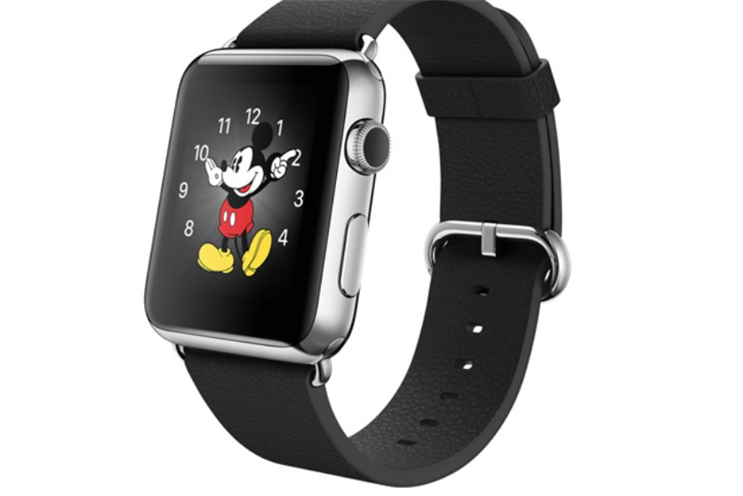 Disney CEO Bob Iger has become an unlikely advocate for the Apple Watch, predicting the device will be a "big hit". Iger opened Disney's meeting in San Francisco yesterday by showing off his Apple Watch, which he claims to have picked up earlier this week. Apple only launched the smartwatch on Monday and showed off a number of interfaces, including a Mickey Mouse theme. Iger said: "While I was here [in San Francisco] earlier in the week, I picked up something special for this meeting, one of the first Apple Watches with Mickey Mouse on it." "This is going to be in the market fairly soon, and I just have a feeling it’s going to be a big hit." Iger said he usually wears a 1930s vintage Mickey Mouse for "special occasions", since it reminds him of the company's heritage. But he added: "The symbolism of Mickey Mouse on this new device just spoke to me, because the original watch reminds me of where Disney comes from. "This one surely reminds me of where Disney’s going. It just seems fitting to wear here in San Francisco, where creativity and innovation intersect to change the world." Iger also unveiled details of Frozen 2, a follow-up to last year's smash hit animation. Disney didn't state a release date, but confirmed Kristen Bell would return to play protagonist Elsa and that director Jennifer Lee had begun work on the sequel. The Frozen franchise is thought to have outstripped other popular movie brands, including Star Wars and Harry Potter. The film itself took $1.3bn (££857m) at the box office in 2014, and was the biggest release that year. Merchandise sales have also pushed up Disney's earnings. Toy firm Mattel, which holds the license on Frozen products, saw shares rise almost 5% after the announcement.